Skyra Studios | Kids Acting Classes Longwood Florida: Enroll Your Child Today! If your child is interested in taking acting classes, chances are he or she has never been in front of a camera. While he or she needs experience on the stage and learning how to properly block and work through scenes, learning to act in front of a camera is essential to being an actor in today’s world. 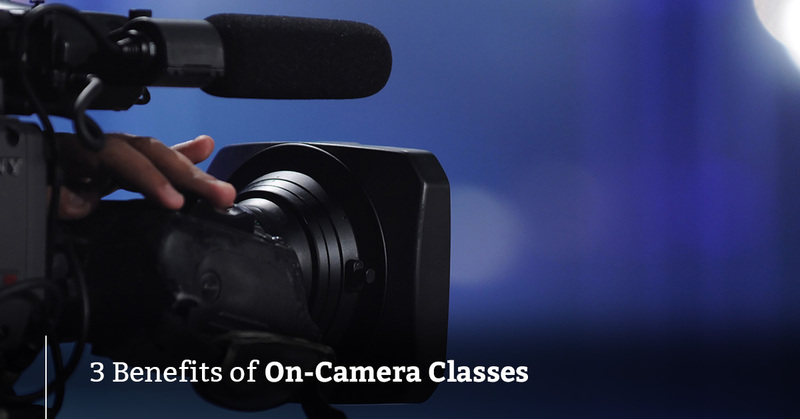 In this post, we’ll discuss the benefits of on-camera classes and why you should sign your son or daughter up today for Skyra Studios’s acting classes. Located in Longwood, FL, Skyra Studios is dedicated to offering the absolute best performing arts classes to our students. Call us today for more information and to get started today! Understanding how to interact with the camera is essential for auditions. With more and more opportunities to appear on commercials, TV shows, and internet campaigns, it’s crucial to be able to act correctly towards the camera. The differences between stage acting and camera acting are like night and day, so it’s essential to be able to differentiate and have the skills for both. By taking an on-camera class and watching the playback takes carefully, your child will be able to learn his or her strengths, weaknesses, and how to improve upon the skills that are needed for ultimate success. If your son or daughter is walking into a room with confidence but is freezing up in front of the camera, it will show. The camera doesn’t lie, and it will expose nervous ticks, awkward pauses, and moments when he or she falls out of character. By learning to how to walk, talk, and act in front of the camera, acting scouts and interested managers will be more interested in booking your child because he or she will understand what is required to be able to give an excellent performance on-camera. Acting in front of the camera can be difficult, especially if an emotional connection is needed. When acting on stage towards an audience, it can be easier to connect with them. However, a camera lens is the only thing that is receiving an audition, so connecting with the camera is crucial. Eye lines are paramount because if the actor or actress isn’t looking directly at the camera and is instead looking too far up, down, to the side, or isn’t focused, it can be an instant “no” from scouts. It’s essential to be able to track with the camera, look where is required, and not come across as awkward or unsure. Getting used to working with the camera is essential and needs to be practiced for an audition to come across as natural and relaxed, not rehearsed or stiff. Our amazing instructors here at Skyra Studios will work with your son or daughter to allow him or her to grow in the ways that are needed to be excellent both on and off the camera. Our on-camera classes will allow your child to experience how to work with others, take direction, and how to act in front of the camera in an audition format but with excellent direction and advice. Call our studio now to learn more about our on-camera classes and to enroll your child in one today! As mentioned above, it’s essential to appearing natural and normal on camera to learn the art of connection with the camera. This skill only comes with practice and learning different skills to appear relaxed when the camera recording begins. Practicing these skills will also help your child learn to handle pressure and exciting auditions better. By practicing in front of a camera and enrolling in on-camera classes, your son or daughter will learn valuable skills that will help him or her to shine in front of the camera and be able to learn how to engage with the audience. If your kiddo is interested in making acting a career, then on-camera classes are essential to his or her ultimate success. Are you ready to enroll your child in our on-camera classes here at Skyra Studios? Contact us now to get started! We look forward to hearing from you!